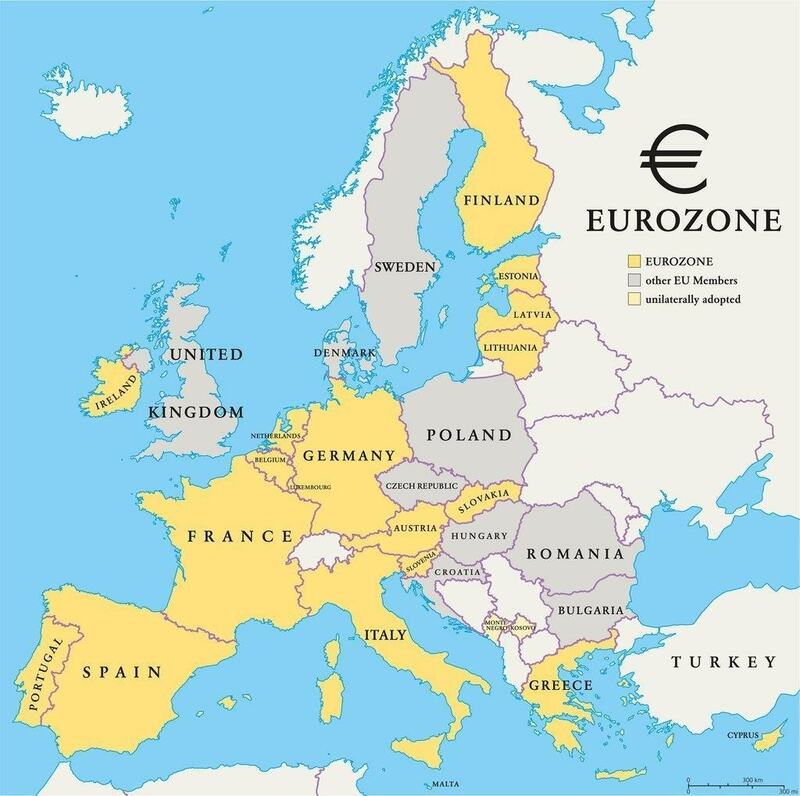 The euro is the official currency of the eurozone, which is composed of 19 of the European Union’s 28 members: Austria, Belgium, Cyprus, Estonia, Finland, France, Germany, Greece, Ireland, Italy, Latvia, Lithuania, Luxembourg, Malta, the Netherlands, Portugal, Slovakia, Slovenia, and Spain. 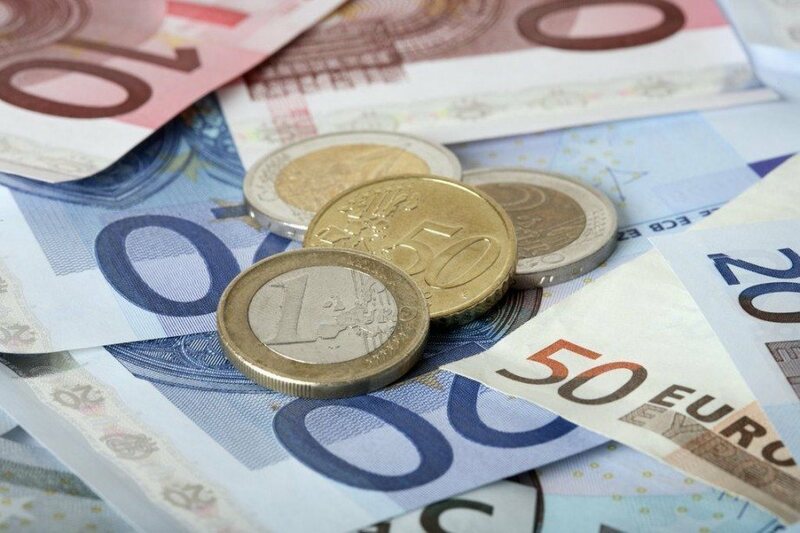 The euro is the second most widely held reserve currency in the world, behind only the US dollar, and has €995 billion in circulation – the largest value of currency circulated in the world. In 1992 the European Union (EU) and the euro were founded with the signing of the the Maastricht Treaty, however there was still a long road ahead before the currency was actually circulated. In 1995 the name ‘euro’ was officially adopted after a Belgian man, Germain Pirlot, wrote an unsolicited letter to the President of the European Commission. His suggestion was eventually embraced by the president and approved by the commission. The European Exchange Rate Mechanism (ERM) had been used to peg different European currencies together and bring monetary stability to the continent since 1979. After the Maastricht treaty the ERM was used to facilitate the introduction of the euro before being replaced by ERM II in 1999. ERM II prevented (and still prevents in the case of prospective members) currencies from floating against the euro or one another. In 1999 the euro became an accounting currency, meaning it represented the currencies of Eurozone member states rather than being a currency in its own right. 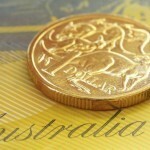 It wasn’t until three years later on 1 January 2002 that the first coins and notes were circulated. Germany, France, Austria, Spain, Portugal, Italy, Belgium, Luxembourg, the Netherlands, Finland, Greece and Ireland were the first countries to use the new currency. The euro’s rise signaled the demise of some of Europe’s most famous and historical currencies; the German mark, the Irish pound, Greek drachma, the Dutch guilder, the Italian lira and the French franc among others. To many Europeans the euro is much more than just a currency, it is the culmination of a long process of integration which began after the end of WWII. Europe, more so than any other continent, was ravaged by war in the 20th century. WWI and WWII led to the deaths of tens of millions of Europeans and the destruction of entire cities. Even prior to the 20th century Europe had been wracked by bloody conflicts which came to define it. The European Union and the euro represent peace, unity, fraternity and the hope of a prosperous, united future. Euro banknotes are printed and issued by different member states but are uniform throughout the Eurozone. Made from cotton fibres, euro’s have a distinctive feel that differentiates them from most other currencies. Perhaps the most unique, and to some puzzling, aspect of the euro is what is depicted on the notes. Each denomination pictures grandiose, sturdy bridges. The design seems conventional enough but for the fact that none of these bridges actually exist. Instead they are composites created not to represent real bridges but periods of architectural history in Europe. Each note represents a different style: the €10 note is Romanesque, the €20 Gothic, the €50 Renaissance, the €100 Baroque and Rococo, the €200 Art Nouveau and the €500 modern. A new €20 note was introduced in November 2015 with updated security measures and designs. Euro coins all have the same image on one side – a map of Europe. The reverse side, however, is unique to each country. So a coin minted in France will have a completely different reverse side from Greece. Irish coins all have the same image on them while in Italy each denomination has a different design. After its introduction as an accounting currency in 1999 the euro fell to US$0.8252 before surpassing the USD in 2002, a position it has occupied ever since. In July of 2008 the euro peaked at US$1.6038. The European Central Bank (ECB) has generally limited the money supply and maintained low interest rates. 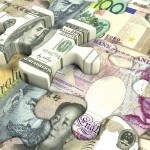 These two factors contribute to the currency’s favourable rate against other global currencies. 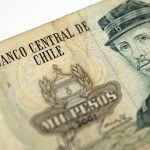 Between 2002 and 2009 the currency seemed to be on an unstoppable upward trajectory. In 2007 Alan Greenspan, the Chairman of the US Federal Reserve, even suggested that the euro could usurp the US dollar as the world’s global currency. In 2009 the European sovereign-debt crisis hit and began to sap the euro’s value as well as its newfound global appeal. In July 2012 the euro hit a two-year low of US$1.21 amid concerns over economic problems Europe (namely Greece). Now, in 2015, the euro has been on a losing streak caused, again, by Greek debt. In March of 2015 the euro hit a 12 year low against the US dollar and the European Central Bank (ECB) began a program of quantitative easing in the hopes of restarting the European economy. Today, economic problems in Europe continue. The unemployment rate for the eurozone overall is just over 11% while Greece’s is 27% and Spain’s is about 25%. Youth unemployment in Greece and Spain is over 50%. The recent crisis has tested not only the resilience of the euro but of the eurozone itself. Many commentators suggested that the collapse of the eurozone was a possibility, some even postulated that it was a probability. The nature of the single currency prevents individual states from exercising their own monetary policy, so Greece, for example, cannot devalue its currency to pay off its debt. It also ties together very different economic and political policies together, so prudent countries like Germany must compromise with other countries that favour spending and debt. This creates a unique dynamic unmatched anywhere else in the world and indicates, to some, a fundamental problem in the eurozones structure. Recent economic problems in Europe sometimes overshadow the fact that the eurozone’s GDP is amongst the largest in the world, and, if the European Union’s member state’s economies were counted as one it would be the largest. The eurozone is also continuing to expand both geographically (into eastern Europe) and economically – despite slow growth over the last 5 years. The eurozone also boasts a €82 billion trade surplus. Whether you need to buy euros or one of many other currencies, we’ve got you covered with FXtoGO! You can also track the exchange rate of your favourite currency with Rate Watch. Check out Continental’s Countries to get more information on both countries that use the euro and those that don’t – including Country of the Week profiles and Travel Guides.